Baden Powell College was host to a fantastic Pubic Image workshop led by District Chair Kerry Kornhauser and Zone Public Image Coordinator DG Julie Mason on Wednesday. 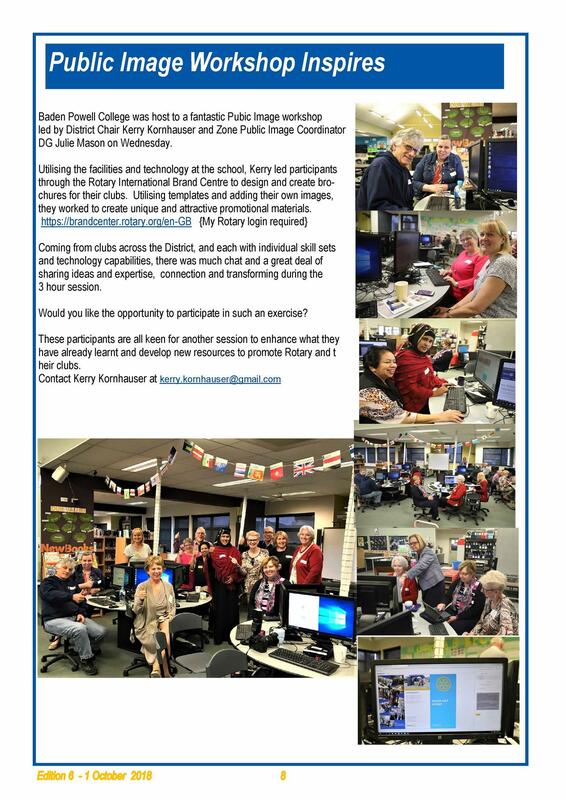 Utilising the facilities and technology at the school, Kerry led participants through the Rotary International Brand Centre to design and create brochures for their clubs. Utilising templates and adding their own images, they worked to create unique and attractive promotional materials. Would you like the opportunity to participate in such an exercise?